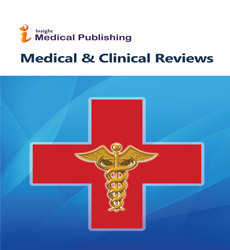 iMedPub Journals publishes original review articles of novel importance. We will consider manuscripts of any length; we encourage the submission of both regular and short reviews. The reviews should be concise and methodological, try to avoid complex jargon or abbreviations so that the paper is understandable for readers outside a specialty or those whose first language is not English. Editors will make suggestions for how to achieve this, as well as suggestions for cuts or additions that could be made to the article to strengthen the article. Our aim is to make the editorial process rigorous and consistent, but not intrusive or overbearing. Authors are encouraged to use their own voice and to decide how best to present their reviews. Although we encourage submissions from around the globe, we require that manuscripts be submitted in English. Authors who do not use English as a first language may contact us for additional information. As a step towards overcoming language barriers on acceptance of the paper, we encourage authors fluent in other languages to provide copies of their full articles or abstracts in other languages. We will publish these translations as supporting information and list them, together with other supporting information files, at the end of the article text. Submission of an article is understood to imply that the article is original and is not being considered for publication elsewhere. Submission also implies that all authors have approved the paper for publication and are in agreement with its content. Upon acceptance of the article by the journal, the author(s) will be asked to transfer the copyright of the article to the publisher. This transfer will ensure the widest possible dissemination of information. 1. Manuscripts should be written in English. 2. Manuscripts should be prepared with numbered lines, with wide margins and single space throughout, i.e. also for abstracts, footnotes and references. Every page of the manuscript, including the title page, references, tables, etc. should be numbered. However, in the text no reference should be made to page numbers; if necessary, one may refer to sections. Underline words that should be in italics, and do not underline any other words. Avoid excessive use of italics to emphasize part of the text. Acknowledgements and any additional information concerning research grants, etc. 4. In typing the manuscript, titles and subtitles should not be run within the text. They should be typed on a separate line, without indentation. Use lower-case letter type. 6. In principle SI units should be used except where they conflict with current practice or are confusing. Other equivalent units may be given in parentheses. 8. SI units and recommendations for the use of their multiples and of certain other units). Abbreviate units of measure only when used with numerals. 9. If a special instruction to the copy editor or typesetter is written on the copy it should be encircled. The typesetter will then know that the enclosed matter is not to be set in type. When a typewritten character may have more than one meaning (e.g. the lower case letter l may be confused with the numeral 1), a note should be inserted in a circle in the margin to make the meaning clear to the typesetter. If Greek letters or uncommon symbols are used in the manuscript, they should be written very clearly, and if necessary a note such as "Greek lower-case chi" should be put in the margin and encircled. The abstract should be clear, descriptive and not longer than 250 words. 3. Drawn tables, from which prints need to be made, should not be folded. 4. Tables should be numbered according to their sequence in the text. The text should include references to all tables. 5. Each table should be typewritten on a separate page of the manuscript. Tables should never be included in the text. 6. Each table should have a brief and self-explanatory title. 7. Column headings should be brief, but sufficiently explanatory. Standard abbreviations of units of measurement should be added between parentheses. 8. Vertical lines should not be used to separate columns. Leave some extra space between the columns instead. 9. Any explanation essential to the understanding of the table should be given as a footnote at the bottom of the table. 1. Submitting your artwork in an electronic format helps us to produce your work to the best possible standards, ensuring accuracy, clarity and a high level of detail. 2. Always supply high-quality printouts of your artwork, in case conversion of the electronic artwork is problematic. 3. Make sure you use uniform lettering and sizing of your original artwork. 4. Save text in illustrations as "graphics" or enclose the font. 5. Only use the following fonts in your illustrations: Arial, Courier, Helvetica, Times, Symbol. 6. Number the illustrations according to their sequence in the text. 7. Use a logical naming convention for your artwork files, and supply a separate listing of the files and the software used. 8. Provide all illustrations as separate files. 9. Provide captions to illustrations separately. 10. Produce images near to the desired size of the printed version. Authors please note: If you submit artwork that does not satisfy these criteria, publication may be delayed. Provide all illustrations as high-quality printouts, suitable for reproduction (which may include reduction) without retouching. Number illustrations consecutively in the order in which they are referred to in the text. Clearly mark all illustrations on the back (or - in case of line drawings - on the lower front side) with the figure number and the author's name and, in cases of ambiguity, the correct orientation. Mark the appropriate position of a figure in the article. 1. All publications cited in the text should be presented in a list of references following the text of the manuscript. The manuscript should be carefully checked to ensure that the spelling of author's names and dates are exactly the same in the text as in the reference list. 2. In the text refer to the author's name (without initial) and year of publication, followed if necessary by a short reference to appropriate pages. Examples: "Since Peterson (1988) has shown that..." "This is in agreement with results obtained later (Kramer, 1989, pp. 12-16)". 3. If reference is made in the text to a publication written by more than two authors the name of the first author should be used followed by "et al.". This indication, however, should never be used in the list of references. In this list names of first author and co-authors should be mentioned. 4. References cited together in the text should be arranged chronologically. The list of references should be arranged alphabetically on authors' names, and chronologically per author. If an author's name in the list is also mentioned with co-authors the following order should be used: publications of the single author, arranged according to publication dates - publications of the same author with one co-author - publications of the author with more than one co-author. Publications by the same author(s) in the same year should be listed as 1994a, 1994b, etc. Roberts, R.J., (1993). Ulcerative dermal necrosis (UDN) in wild salmonids. In: Bruno, D.W. (Ed. ), Pathological conditions of wild salmonids, Fisheries Research, 17(2): 3-14. Gaugh, Jr., H.G., (1992). Statistical Analysis of Regional Yield Trials. Elsevier, Amsterdam. Bucke, D., (1989). Histology. In: Austin, B., Austin, D.A. (Eds. ), Methods for the Microbiological Examination of Fish and Shellfish. Wiley, New York, pp. 69-97. 6. Abbreviate the titles of periodicals mentioned in the list of references according to the International List of Periodical Title Word Abbreviations. 7. In the case of publications in any language other than English, the original title is to be retained. However, the titles of publications in non-Latin alphabets should be transliterated, and a notation such as "(in Russian)" or "(in Greek, with English abstract)" should be added. 8. Work accepted for publication but not yet published should be referred to as "in press". 9. References concerning unpublished data and "personal communications" should not be cited in the reference list but may be mentioned in the text. 1. Formula should be typewritten, if possible. Leave ample space around the formulae. 3. Greek letters and other non-Latin symbols should be explained in the margin where they are first used. Take special care to show clearly the difference between zero (0) and the letter O, and between one (1) and the letter l.
4. Give the meaning of all symbols immediately after the equation in which they are first used. 5. For simple fractions use the solidus (/) instead of a horizontal line. 6. Equations should be numbered serially at the right-hand side in parentheses. In general only equations explicitly referred to in the text need be numbered. 7. The use of fractional powers instead of root signs is recommended. Also powers of e are often more conveniently denoted by exp. 8. Levels of statistical significance which can be mentioned without further explanation are *P<0.05, **P0.01 and ***P0.001. 9. In chemical formulae, valence of ions should be given as, e.g., Ca2+and not as Ca++. 10. Isotope numbers should precede the symbols, e.g.,18O. 11. The repeated writing of chemical formulae in the text is to be avoided where reasonably possible; instead, the name of the compound should be given in full. Exceptions may be made in the case of a very long name occurring very frequently or in the case of a compound being described as the end product of a gravimetric determination (e.g., phosphate as P2O5). 1. Footnotes should be used only if absolutely essential. In most cases it should be possible to incorporate the information in normal text. 2. All biotica (crops, plants, insects, birds, mammals, etc.) should be identified by their scientific names when the English term is first used, with the exception of common domestic animals. 4. For chemical nomenclature, the conventions of the International Union of Pure and Applied Chemistry and the official recommendations of the IUPAC IUB Combined Commission on Biochemical Nomenclature should be followed. 1. An author, when quoting from someone else's work or when considering reproducing an illustration or table from a book or journal article, should make sure that he is not infringing a copyright. 2. Although in general an author may quote from other published works, he should obtain permission from the holder of the copyright if he wishes to make substantial extracts or to reproduce tables, plates, or other illustrations. If the copyright-holder is not the author of the quoted or reproduced material, it is recommended that the permission of the author should also be sought. 3. Material in unpublished letters and manuscripts is also protected and must not be published unless permission has been obtained. 4. A suitable acknowledgement of any borrowed material must always be made. Proofs One set of proofs will be sent to the corresponding author as given on the title page of the manuscript. Only typesetter's errors may be corrected; no changes in, or additions to, the edited manuscript will be allowed. Subsequent corrections will not be possible, so please ensure your first sending is complete.